Raise your hand if you're in desperate need of a trip to the salon or spa. Me too. However, with our crazy schedule and three kids the likelihood of me stepping foot into a spa is about slim to none. However, I can bring the salon to me, and I'm doing it with some awesome new styling tools and skincare products from Conair. It's no secret that I have some crazy, unruly, naturally curly hair. I've mentioned my hatred for my curls and frizz many times here on the blog, and the fact that I spend way too much time blowing it out to get it smooth. The lovely people at Conair sent me their new Infiniti Pro 3Q Styling Tool and I'm pretty much in love! The Infiniti Pro 3Q has some pretty cool features. The 3Q stands for quick, quiet, and quality, and it certainly lives up to its name. It actually reduces drying time by up to 70% with lower temperature and faster airflow to minimize heat damage. It features titanium ceramic technology and provides infrared heat to gently dry hair, and ionic technology for enhanced shine and up to 75% less frizz. This is key for my hair, because it generally requires a lot of heat to get it as smooth as I like it. Heat = damage. Less heat = less damage, which is a huge plus when you have bleached/color-treated hair that also gets a lot of heat tools used on it. 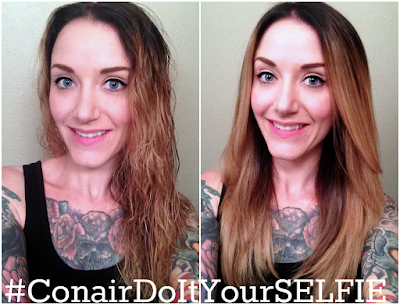 While the Conair Infiniti Pro 3Q's air feels cooler to the touch, it still left my strands super smooth and frizz-free. The Infiniti Pro 3Q also has a brushless motor that lasts 10 times longer, giving it up to 5,000 hours of life vs. about 500 hours for a traditional AC motor hair dryer. This thing is powerful! It runs the equivalent to 2000 watts but without the crazy noise. I hate super loud blow dryers. The 3Q is pretty quiet and features patent pending noise reduction technology for up to 40% less noise- a huge plus for someone like me who is constantly keeping an ear out for my 3 kids. 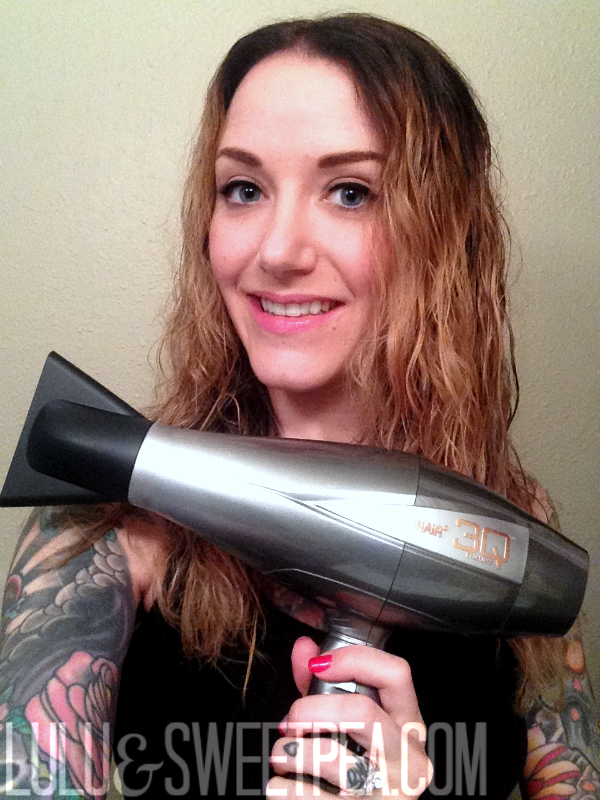 Learn more about the Infiniti Pro by Conair 3Q here! Getting a perfect at-home blow out with salon results was so easy and it really was pretty fast. I simply towel dried my hair after showering and applied some argan oil and smoothing cream to my hair. Then I sectioned my hair and started drying it with my brush, going section by section. Total dry time for me was about 15 minutes, which is pretty quick for my hair. I was very happy with the results! See? Straight, smooth, and no frizz. I love how lightweight the dryer feels in my hand. My arms always get so tired from blow drying, so having a styling tool that isn't too heavy is key- especially when you have a lot of hair. I also love the concentrator attachment. I know a lot of people take these off their dryers or toss them, but they are key in getting a sleek, smooth blow out. The button placements on the handle are in the perfect spot, so switching to a different heat setting, using the cold shot button, or turning the dryer on and off is easy to do without even looking. 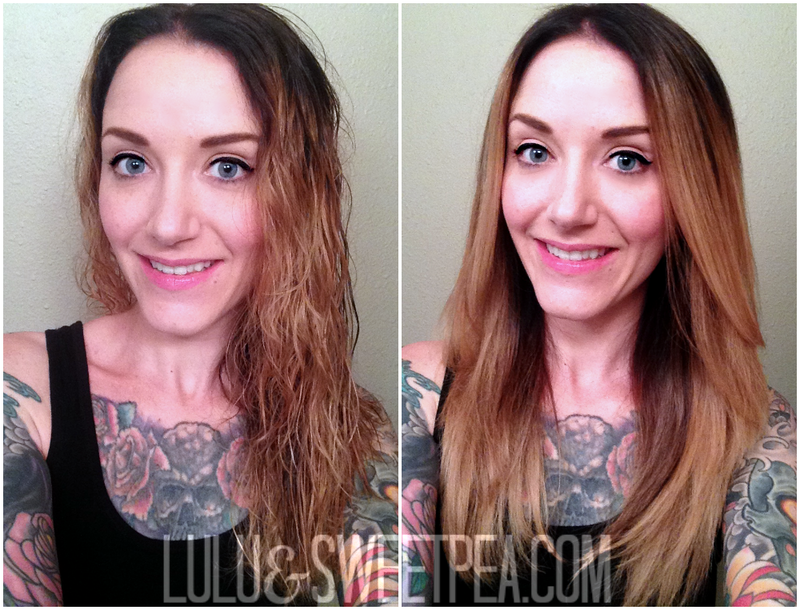 The Infiniti Pro 3Q helped give me an awesome blowout! My hair felt so soft and smooth- I couldn't stop touching it. I felt like it looked shinier too. 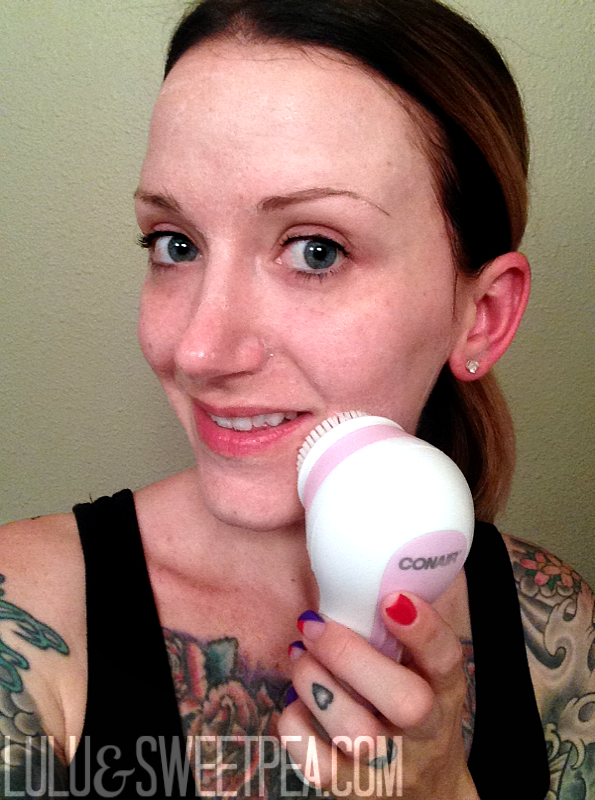 Next on the list for my at-home salon/spa experience was my skin, which was in desperate need of some help, so thank goodness for the True Glow Sonic Skincare Solution from Conair. I was so excited to try this one! This awesome little skincare tool has been amazing for my skin! 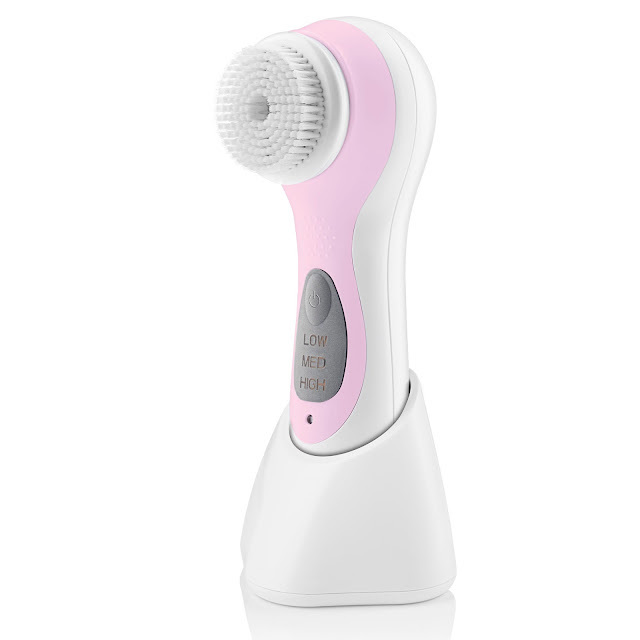 The True Glow Sonic Skincare Solution brush makes your cleanser 2 times more effective and gets your face so much cleaner than when just using your fingertips. It uses sonic technology and delivers 300 oscillations to its high-performance cleansing brush. The True Glow is completely waterproof and is safe to use in the shower, has 3 speeds, and comes with two brush heads for the face and body. It's completely cordless and comes with a charging base, and when fully charged it can provide up to 35 minutes of use. That means I can take it with me on my upcoming vacation and leave the charger at home. One less thing to worry about! I have been using the True Glow for about a week, and so far I'm loving the results I'm seeing. It was easy to use, and I loved the fact that it has a built in timer to remind me to move to a new area of my face every 10 seconds. After 60 seconds I was done. It felt so invigorating! Like I'd just had a quick mini facial, but in the convenience of my own home. My skin felt instantly cleaner, more smooth, and I noticed less black heads and clogged pores on my chin and nose (my problem areas). I was a little worried that the brush would irritate my skin at first or cause me to break out more, but I didn't experience any negative effects after using it. True Glow is gentle enough to use just about every night. I look forward to washing my makeup off every night and giving my face a nice scrub! My skin actually looks pretty amazing. It feels so soft my makeup glides on and I never get dry or rough patches anymore. Learn more about the True Glow by Conair Sonic Skincare Solution here. Want to win some of the latest Conair products? All you have to do is enter your Conair-inspired hair selfie in the latest round of the #ConairDoItYourSELFIEsweeps contest. You have some time to think about it, because the contest doesn't start until June 8th and runs through July 2nd. So get that hair done up and snap your favorite selfie, then upload it to the official giveaway site with the hashtag #ConairDoItYourSELFIEsweeps. Or you can also enter via Twitter or Instagram- just remember to use the official hashtag when sharing it via social media. Five winners will be randomly selected to win prizes, including gift cards and the latest Conair styling appliances. Make sure to follow Conair on Facebook, Twitter, Pinterest, and Instagram to stay up on the latest in sales, contests, giveaways, and promotions. I'll be sharing my hair selfie when the contest starts! What about you? Will you share your selfie? 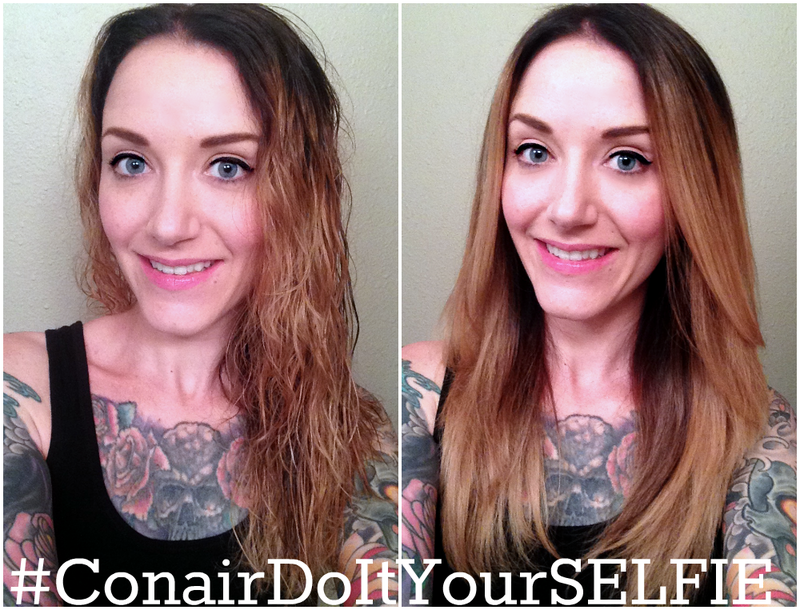 Enter your own Conair-inspired selfie to win hair styling appliances and more in the #ConairDoItYourSELFIEsweeps starting June 23rd and ending July 2nd at http://bit.ly/1EhfNeC. For more information about Conair's full line of styling and skincare products, visit Conair at www.conair.com, and follow the brand on Facebook, Twitter, Pinterest, and Instagram for great beauty tips, tricks, and giveaways! This is a product-provided, sponsored conversation that contains affiliate links. 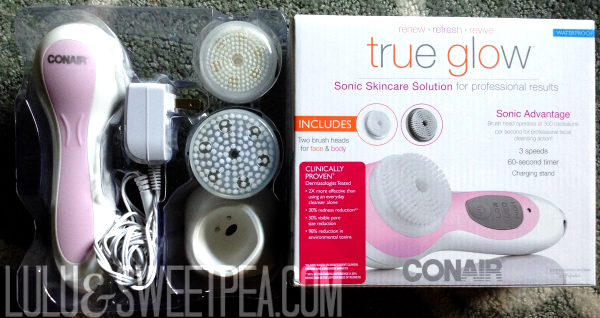 I received the Infiniti Pro by Conair 3Q Styling Tool and the True Glow by Conair Sonic Skincare Solution for my own personal use. All opinions, text and experiences are my own.